Commercial bread mix vs homemade = homemade bread wins! 1. Measure water and oil into bread machine bowl. 2. Add the flour, salt, sugar, bread improver and yeast on top of the water/oil. 3. Bake on 3 hour setting. 4. Remove from bread machine once cycle is complete. 5. Cool bread for 15 minutes or more before slicing..
6. Slice into thin (sandwich) slices or thick (toast) slices. TIP: use your meat slicer. 7. Place bread slices into an airtight container (or ziploc bag) and store at room temperature for a day or two (best eaten within a day of baking) or freeze for up to 3-6 months (wrap the loaf in plastic before freezing). TIP: use a vacuum sealer. 8. Thaw frozen bread at room temperature then unwrap, or unwrap the frozen loaf and bake in the oven for 15-20 minutes at 180°C (350°F) before serving immediately. 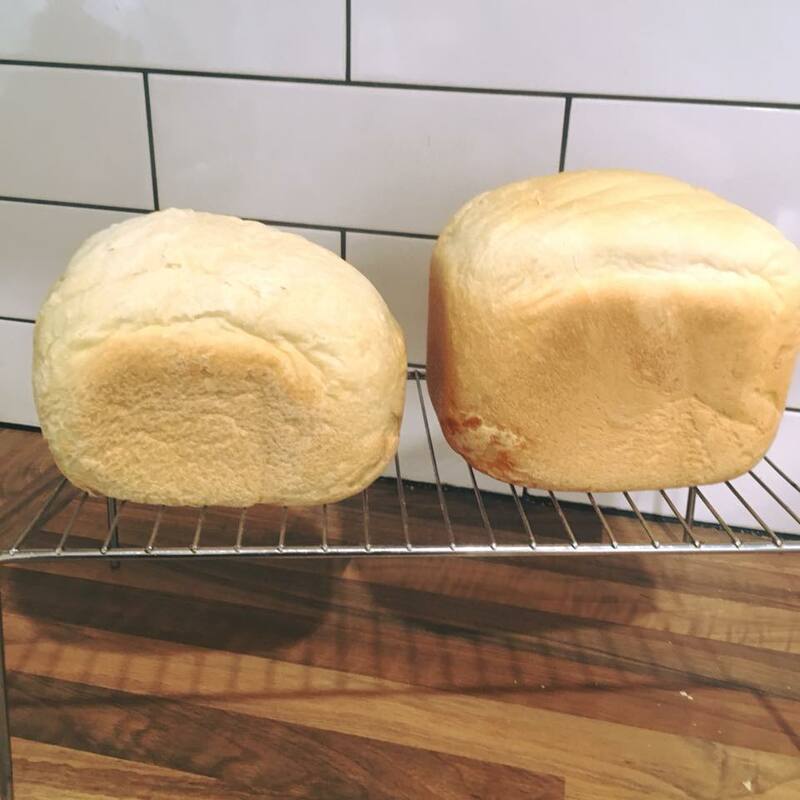 o Plain flour vs bread flour: plain resulted in a larger loaf for us, but experiment using your local flour to see which one you prefer. Remember to look for unbleached flour! o Salt can be iodised, not, or Himalayan – all work well, just grind finely before adding and measure carefully!